Three years ago, industry analysts were telling us that by 2020 the customer experience would become the primary competitive differentiator. Today, customers expect more information than ever before when they make a purchase. They focus on value and service, and they want instant answers to their questions and concerns. In consumer markets, customers will spend 17% more to get excellent service, and 33% would switch after only one incident of poor service. In B2B markets, 71% of customers are at risk of going elsewhere to place their business. Although customers want excellent service when they call a support representative, for most it is not their preferred option. They will instead use a Google search or self-service portal to learn about your services and solve their problems. This preference places knowledge management at the center of customer experience strategy, and the infrastructure to enable that strategy is a robust, well-integrated learning management system. With an enterprise LMS, you can put the answers at their fingertips anywhere, anytime, and in any mode, they prefer. An LMS can make it easy for you to deliver the right content at the right time at any point in the customer cycle. Initial training and job aids, beginning the moment they sign the contract, will speed up user adoption. Break down training into short videos so customers can access specific learning on demand and refer to a single topic. Provide a transcript, edited for quick reading, for those who prefer it. Include guides to using the learning platform, and make sure your user portal gives customers access to all the learning and resources they will need. Provide reports for the customer project team to follow up on training requirements. The more efficiently you train them on your product the better they know about your product and appreciate their experience on your product. After a sale, it is normal for customers to question their decision when they experience a problem or something they don’t know how to do. Excellent service will turn that around and create the opposite effect. Think about how you can change the experience when customers meet their first technical difficulty. Instead of being 17th in line to talk to a customer support agent, they can watch a one-minute video from your team on how to address that issue. You can also create a step-by-step guide online and share it via a social media app embedded in your LMS. Integrate your customer LMS with your customer relationship management (CRM) to both personalize the learning experience and to keep marketing and sales up to date on customer sentiment and concerns. Provide information on what training customers are using and what they are searching for and can’t find. Work with marketing and sales to provide appropriate messaging at the right points in the customer cycle. Information in your LMS can inform your CRM of customer challenges so they can have the proper conversations during upsell and renewal conversations. Providing customer training gives you a significant boost to customer acquisition and retention, and it can have financial benefits far beyond the impact on customer sales and loyalty. If it is appropriate for your business model, you can sell training to your customers or the public. You will need your LMS to contain or integrate with e-Commerce to make it a seamless customer experience. Offset training cost. One of the most popular models in freemium-based training, where initial training is free and more advanced training requires the company or individual to pay some or all the cost. Do diligent research to find the right entry point and think about developing advanced training and certification courses to increase the value of training. Generate revenue. Many companies like McAfee, IBM, and Cisco use certification programs as substantial revenue generators. Certifications are career boosters, and once an accreditation becomes recognized, it can be in high demand. 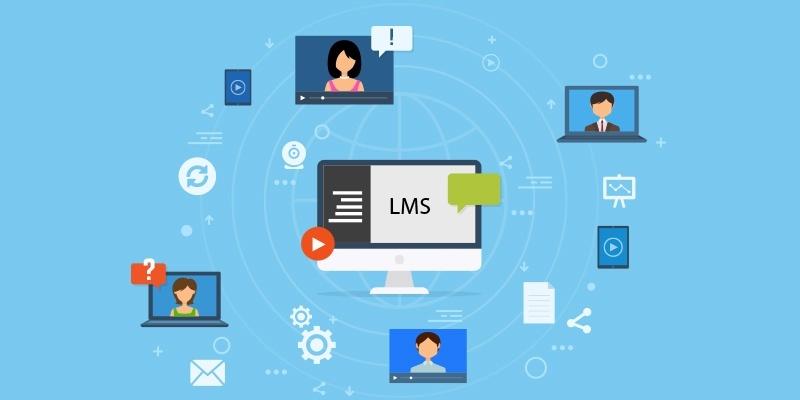 One of the most critical choices you will make is whether you will use your existing LMS, integrate your current LMS into a portal, or build a new platform. We would base this on the structure of your organization. With centralized funding and administration of your technology, you will most likely want to use your existing learning platform. SumTotal LMS, Cornerstone OnDemand, or another enterprise multi-tenant platforms give you access to all the tools you need to implement customer learning and integrate it with your CRM, customer portal, customer success platform, and e-Commerce platform. If you have decentralized funding and administration, a single-purpose specialized LMS might be right for you. We recommend you do not consider a learning platform that lacks a good user experience or features like xAPI (Experience API). XAPI integrations enable you to enhance your consumer experience and to capture data about any activity – not just classroom instruction and e-learning. It can allow you to collect data from customer support to alert your administrators to customer needs with no human intervention. Hire an administrator skilled in customer training in your software. Salaries for an LMS administrator range from $55,000 to 107,000, with an average of $81,000. Contract an administrator or support services as you build your team. You may find it so cost-effective and trouble-free you will want to make it a long-term relationship. Train your administrators well before you go live. Minimize “learn as you go” as much as you can. The cost of acquiring a new customer is many times more expensive than keeping an existing one. Look at your metrics to assess the long-term return on customer training. You probably have a lot more to work with that might be apparent. Consider the long-term sustainability of your organization in a world where the customer is in charge – before, during, and after the sale.